You know, let's be honest, I ALWAYS get super nervous before a wedding. But on June 2nd at Amie & Adam's wedding, it was a whole different kind of nervous. Why? Because I had NEVER met the couple! Amie & I did all our coordinating and planning over my facebook business page! BUT let me tell you, the nerves went out the window when I met Amie! She is the sweetest woman! She was so kind & always smiling. Adam was so nice & a goofball lol. Let's take a look in to their beautiful day! Amie's make up artist was Rachel Wilson and she did an amazing job! & LOOK at these GORGEOUS shoes!! Probably my favorite bridal shoes ever. Amie did the flower arrangements herself! I was only supposed to be there at the first look until reception, so I wasn't able to get Adam's getting ready because he was setting it all up while Amie got ready. I was lucky to sneak a few of her and her details. And Adam did NOT dissappoint. The look he gave his bride and the tears of pure joy and love were beautiful to watch! Thanks to my 2nd shooter Rebecca of Rebecca Jane Photography for coming on short notice & getting this look! It was BEAUTIFUL & I'm so glad they chose to do a first look! Family formals & bridal portraits were next! So fun and quick before the ceremony! The bridal party below was so fun! Jennie instantly greeted my 2nd shooter and I and let us know all the details and helped us get all set up and kept me in the loop! She was great! Adam's best man was so fun and laid back! 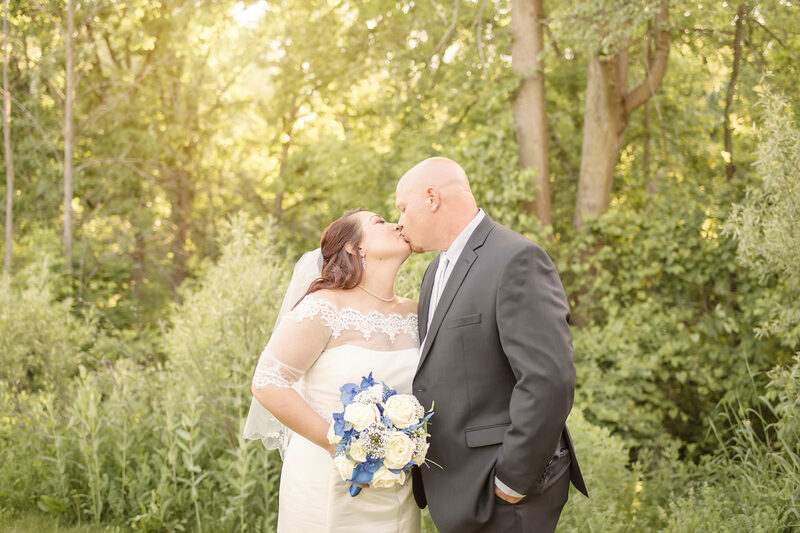 A small bridal party was perfect for this intimate day! We were able to sneak a few couple portraits in while the guests shuffled to their spots! Amie slipped on a gorgeous cover to suprise Adam with a different look. It was absolutely beautiful. I ADORE it soo much! It helped keep the romantic mood going. Time for the ceremony! & it was PERFECT! Adam & his dad, who also officiated, walked hand in hand to the front of the gazebo. Amie was walked down the aisle by her son, Nate. They exchanged their own written vows. They both laughed, they both cried. They both are so in love. It was moving to watch Adam speak about how Amie is his sun. And Amie speak about Adam being the one who completes her. They met 6 years ago and it's been an amazing time. Now they're on to the next chapter in life, marriage. I'm so happy for you both! 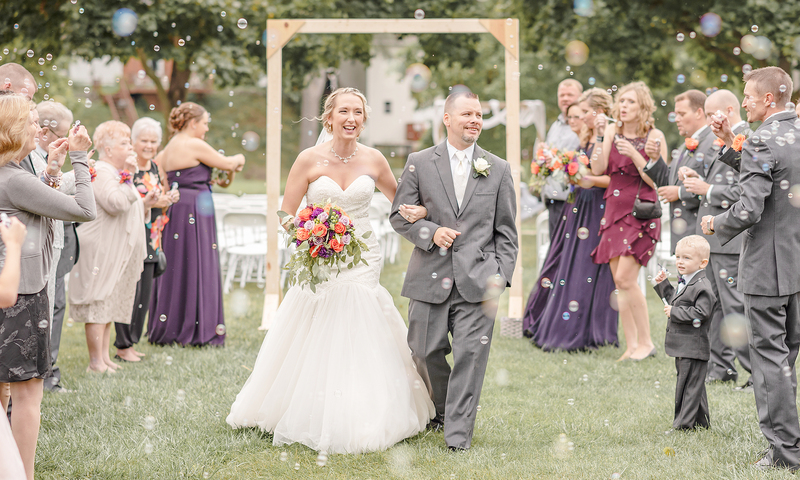 Here are my favorites from this love, laughter, and tear filled ceremony. Reception time. Fun fact : Adam made the cake they used! We had a break during dinner & got in a few more portraits of Amie & Adam! They were so great to work with! It went so great & I love how they turned out! & finally, TIME TO DANCE! Amie & her dad laughed the whole time during theirs! & Adam gave his mom the royal treatment at the end of their dance! I will give it to Adam, he had everyone dying from LAUGHING so hard during his garter grab! Thank you for chosing Lindsay Adkins Photography!